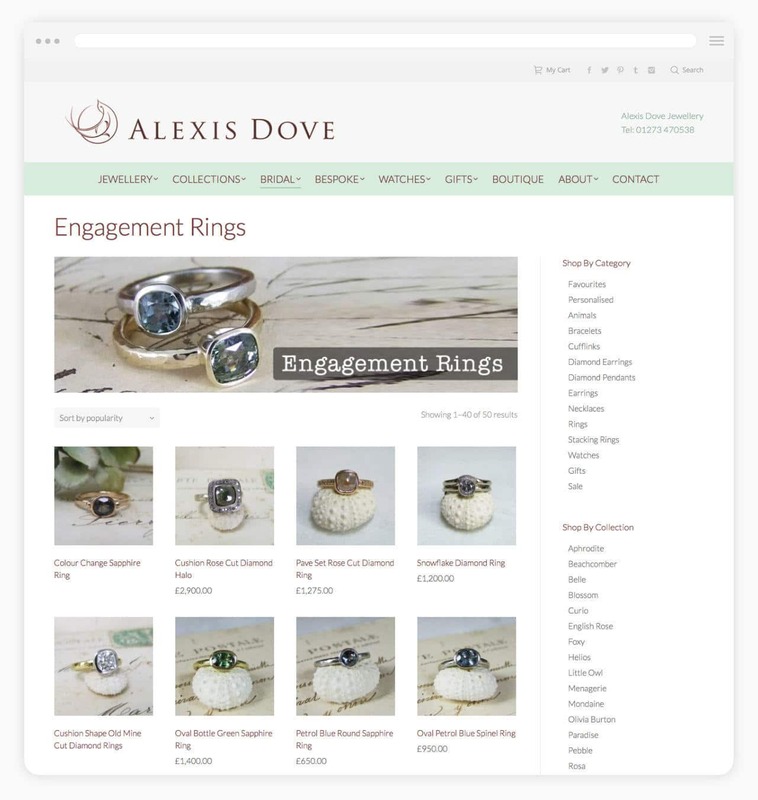 Re-design the flagship Alexis Dove website, to incorporate a flexible CMS, responsive framework, an easy to update ecommerce shop, new list building initiatives and social media sharing services for visitors. To start with we researched other jewellers and jewellery businesses with a good online presence and in the same niche as Alexis. This highlighted a number of ideas we could utilise and opportunities for growth that we felt were under-utilised by her competitors. With these ideas in mind and details from our website analytics, we set to work developing the branding, content management system, framework, pages and visual styles for the new website. We then worked throughout the pre-live process to ensure we maintained customer expectations when viewing and purchasing an item of jewellery. This is really important because customers must trust in you before they will buy from you. At the time of the re-design, Alexis was just emerging onto the jewellery scene and looking to evolve from artisan jeweller, to a fully fledged brand leader. 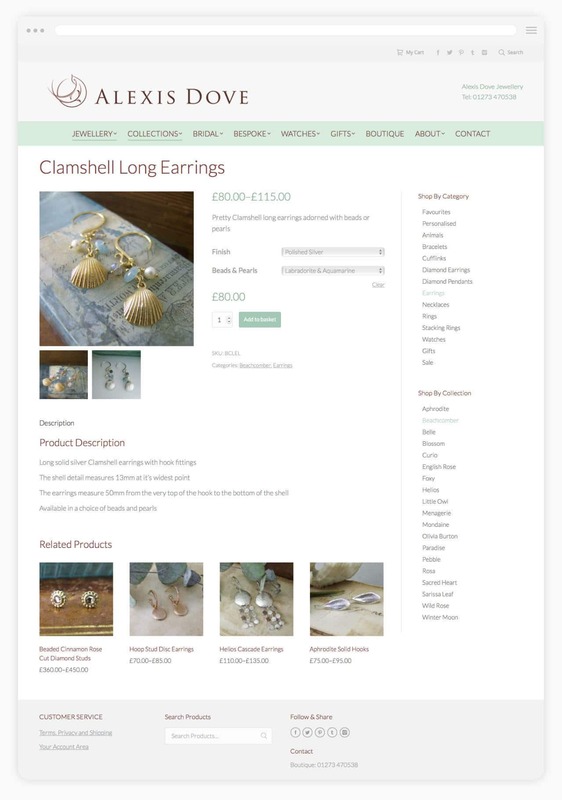 Ensuring this continued was our main aim so we built her new website using WordPress, knowing that Alexis would need a robust CMS that could support her business. Since the re-design, sales have increased over 200% with visitor numbers and retention-on-site time increasing every year. Search engine rankings have also improved due to the continued diligence of Alexis and her team, plus the systems we built into the website. 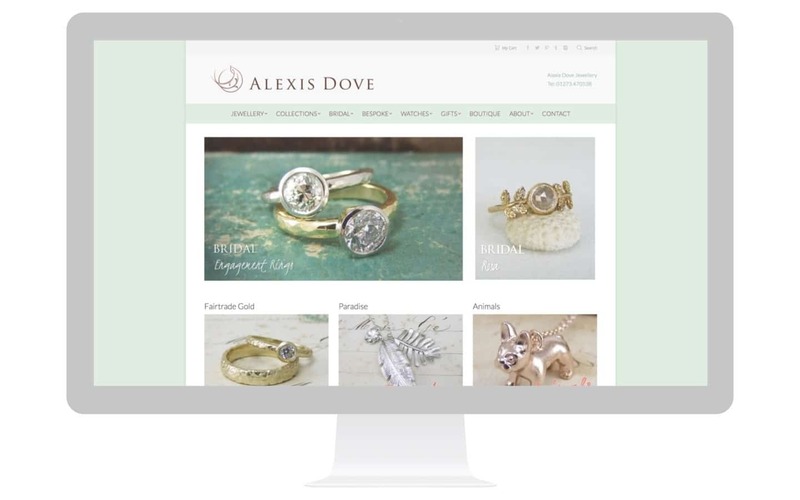 MINDSEYE create many of the Alexis Dove Jewellery graphics used throughout the website.